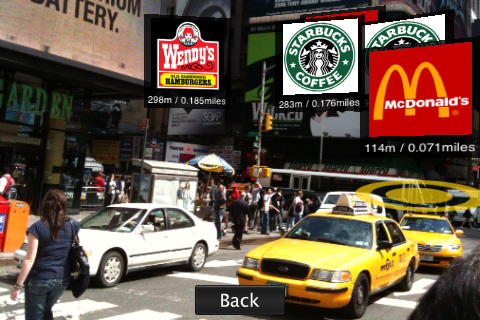 Augmented Reality covers all US cities. 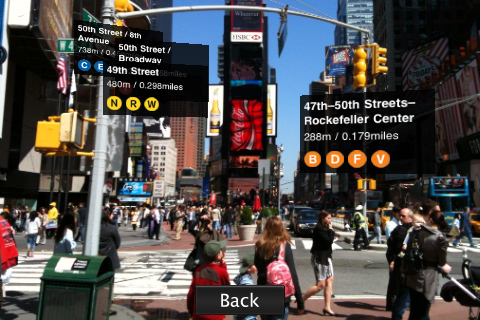 Augmented Reality is a great application that enables you to visualize Points of Interest (POI) located in your nearby environment in the US, thanks to a unique augmented reality technology using the iPhone camera. POI databases include restaurants, WiFi hotspots, subway stations (New York Subway, Washington Metro, Chicago L Rapid Transit), etc. Over 100000 POI are already included in this application. Elements located at a distance less than 1km (0,621miles) only will be displayed on the screen. 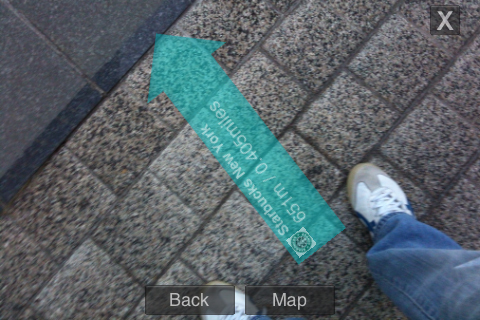 - Vertical position: 360-degree view of all POI nearby your location, updated in real time as you walk in the streets. - Horizontal position: List of all nearest POI. When a POI is selected, a blue arrow (compass) is displayed to show the direction and the distance to that POI. 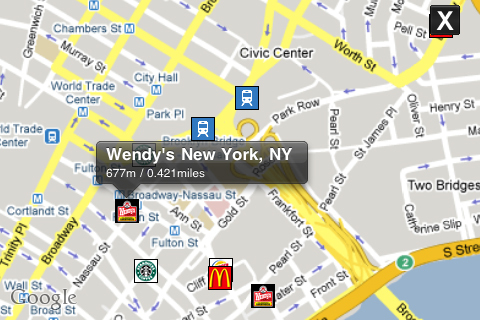 - The application is fully compatible with Google Maps. 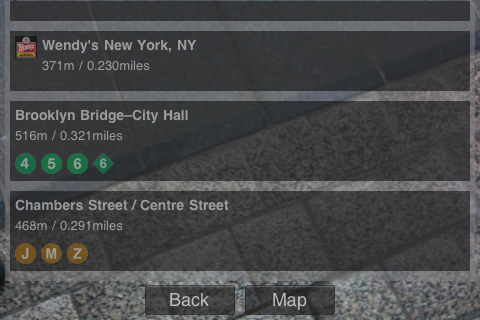 It is possible to locate the nearest POI from your position on Google Maps within the application. IMPORTANT: The POI databases will be installed during the first launch (30 seconds). The application will be much more faster to load after this installation (10 seconds). - Improvements for the iPhone 4.